So I’ve been meaning to try some more inexpensive or less well known restaurants. I kind of feel like a cheater going to so many places with so much confidence that I’m going to get a great meal. My Baconboozer ratings have been almost entirely three or four stars. I need to broaden my scope a bit. So we decided to find a great burger place. Now, I might be willing to broaden my scope, but I’m still OCD and not willing to eat bad food. 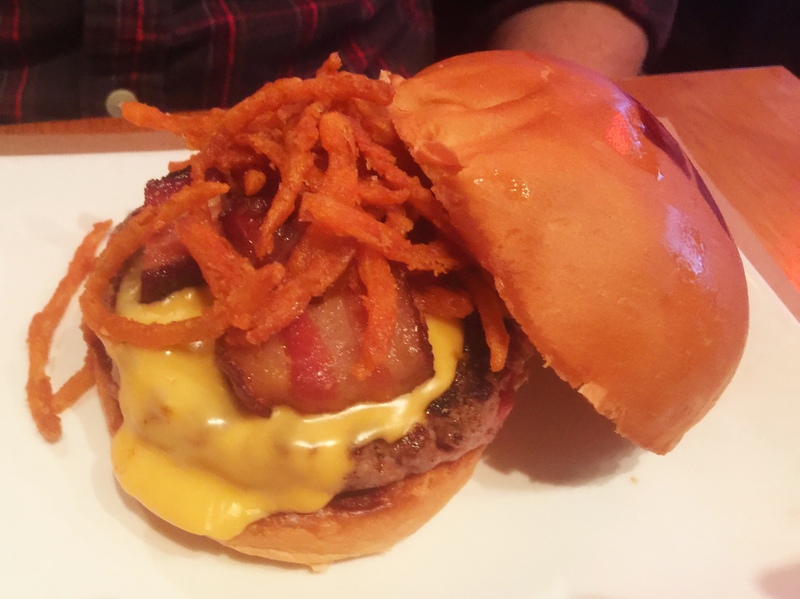 So we did quite a bit research on great burgers in NYC. 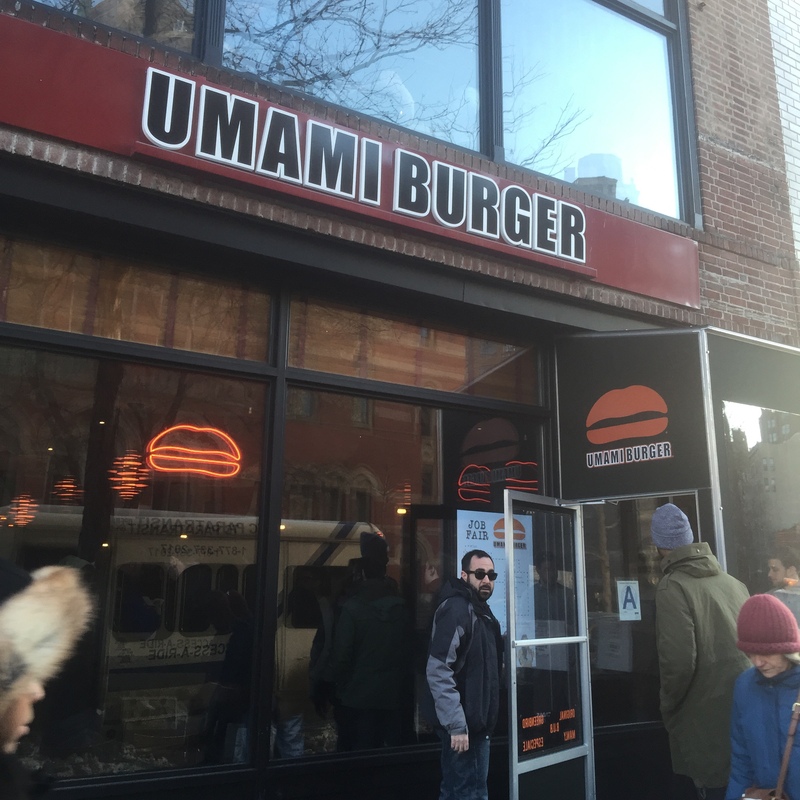 We came up with Umami Burger on 6th Avenue between 9th and 10th Streets. 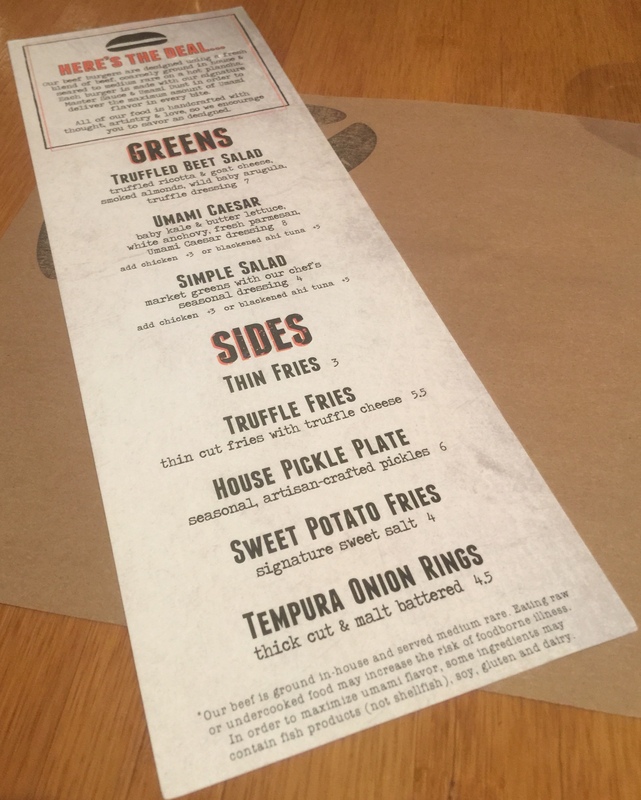 They have burgers ranging in price from $8 to $15, a few sides/salads options, and a full bar. What’s not to love? To drink we went with the Maple Bacon Old Fashioned (for Justin) and the My Sour (for me). The bacon in that old fashioned was so sweet and so mapley and amazing. And the My Sour, made with Elijah Craig, egg white, and cayenne pepper, was outrageous. I’ve had a few drinks with egg whites before that I didn’t entirely love, but this was perfection. Ok so the meal: the burger options were a little overwhelming. They all sounded so mouth wateringly good, it was hard to choose. But our waiter was great, just the way I like: super helpful without being pushy. I went with the Umami, as a self titled burger just seemed like a must have. And Justin did the Manly. There was a short description from the waiter that came with the menus, explaining the quality of meat and the perfection that is an Umami bun. But it was not until my teeth sank into the perfect medium rare patties that I knew, for sure, I was eating the best burger of my life. Now, to be objective, I’m not the biggest burger eater. I’ll almost always go for a pasta or meat dish over a burger. So maybe my point of reference is an uneducated one. But Justin loves burgers, and he agreed. 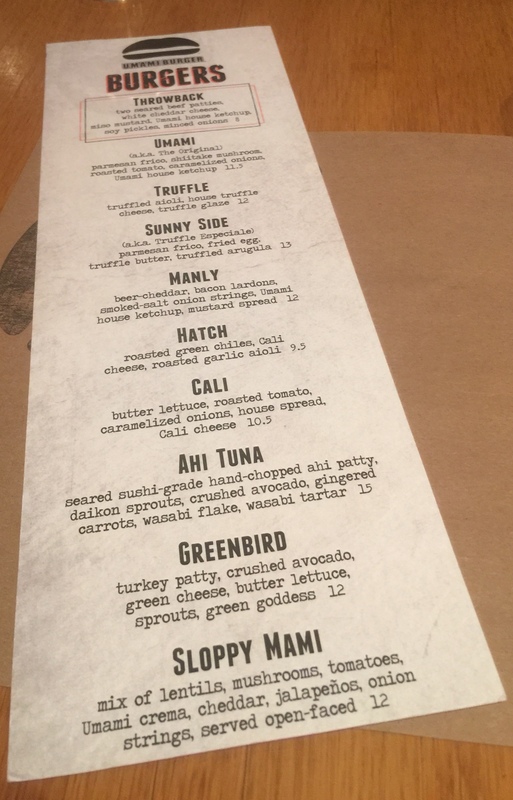 So Umami Burger, I would like to take this moment to congratulate you on the best burger that I have had, to date, in New York City. 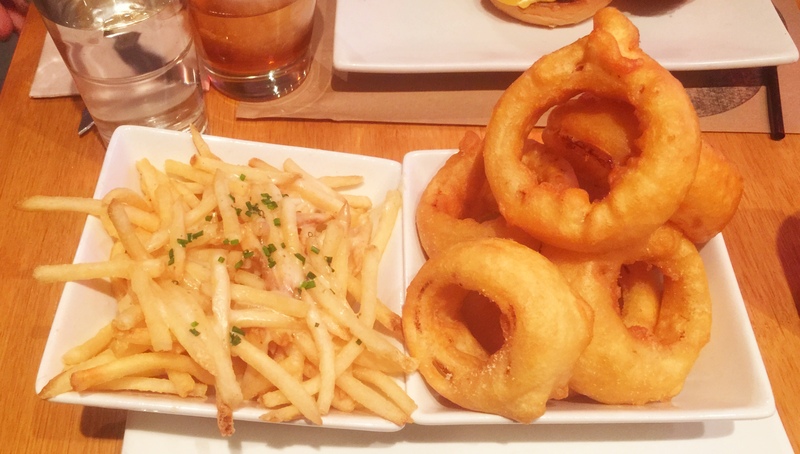 In addition to the burgers, we went with the truffle fries and tempura onion rings, pictured below. I think if you visit this place, these would both be essential. 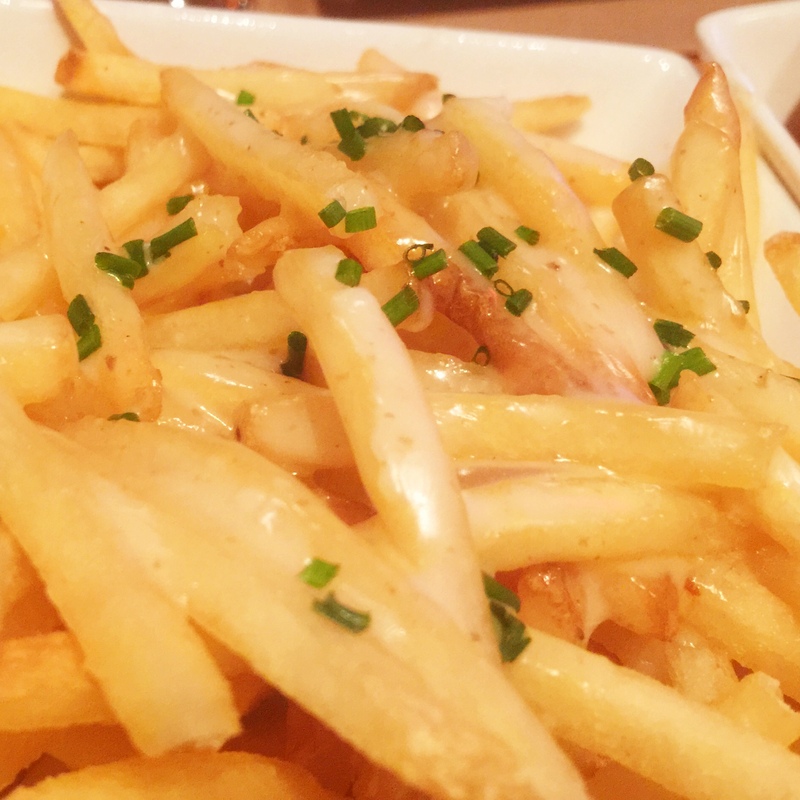 The fries were so incredibly truffley and cheesy (you like that close up?) while the onion rings tasted like zeppoles with sweet onions inside. And don’t be shy; ask for the sriracha truffle ketchup – Justin had to pry the squirt bottle out of my hands to keep me from eating (drinking?) it straight from the bottle. 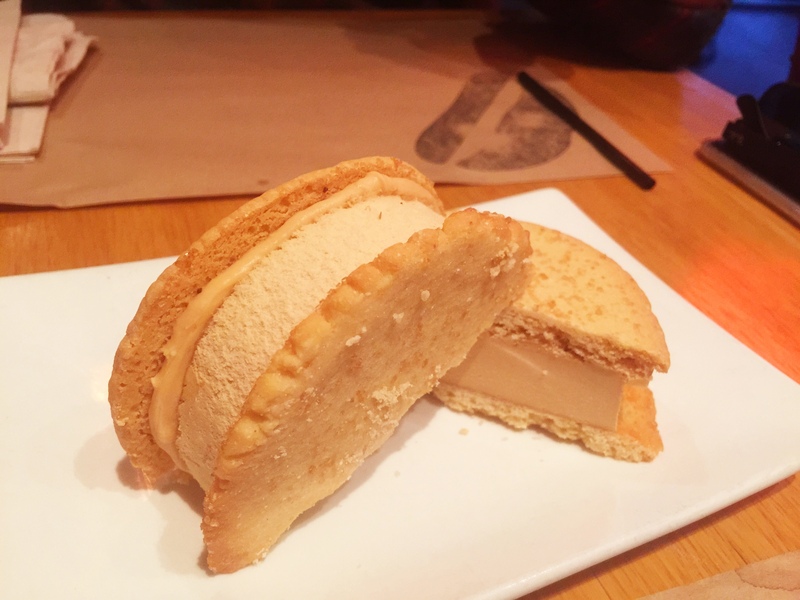 Dessert was a tough choice but we went with the salted caramel ice cream sandwich, which turned out to be pretty awesome. With dessert, we switched over to beer. 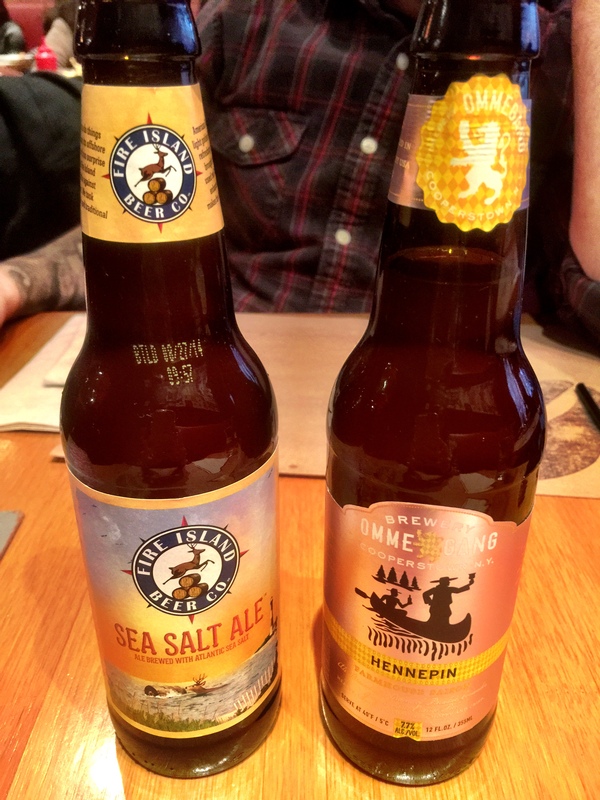 I went with the Ommegang Hennepin and Justin chose the Fire Island Sea Salt Ale. Both were great, but we actually preferred each other’s and switched. 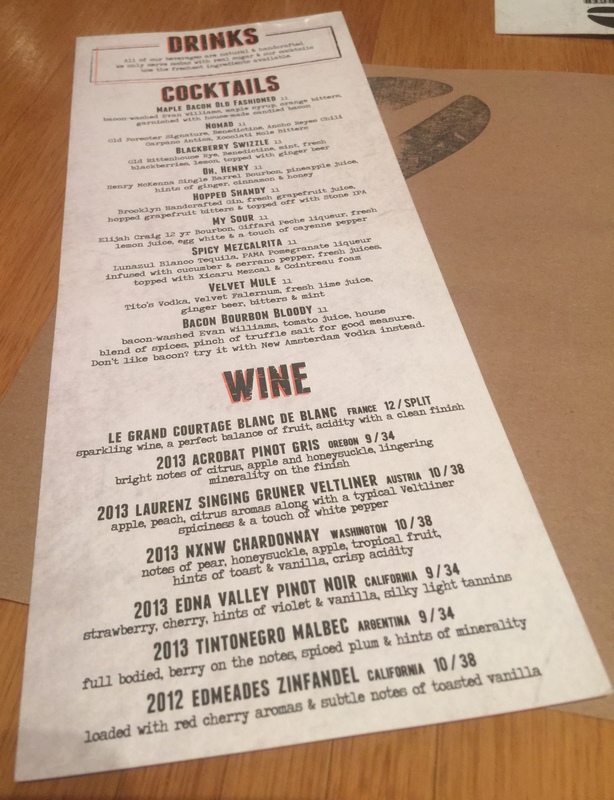 Ok Umami, here’s where things get awkward. Our meal was absolutely perfect. A perfect waiter, perfect drinks, and perfect food. No complaints at all. You HAD five stars. But then, the restaurant started to get a little busier. Justin and I were done eating, and there was a large table waiting to be seated, so we decided to take our half full beers and move to the bar to give our space to diners. The average sized bar was maybe 75% full: enough seats open for Justin and I to sit and still leave some empty. Oddly, the host who had seated us when we first arrived to the restaurant was now wearing different clothes and was behind the bar. I jokingly commented on this, saying, “You transformed!” (Okay, I was a little buzzed by now). He made a joke back saying, “I do it all!” and went back to the opposite end of the bar where I guess he was working. 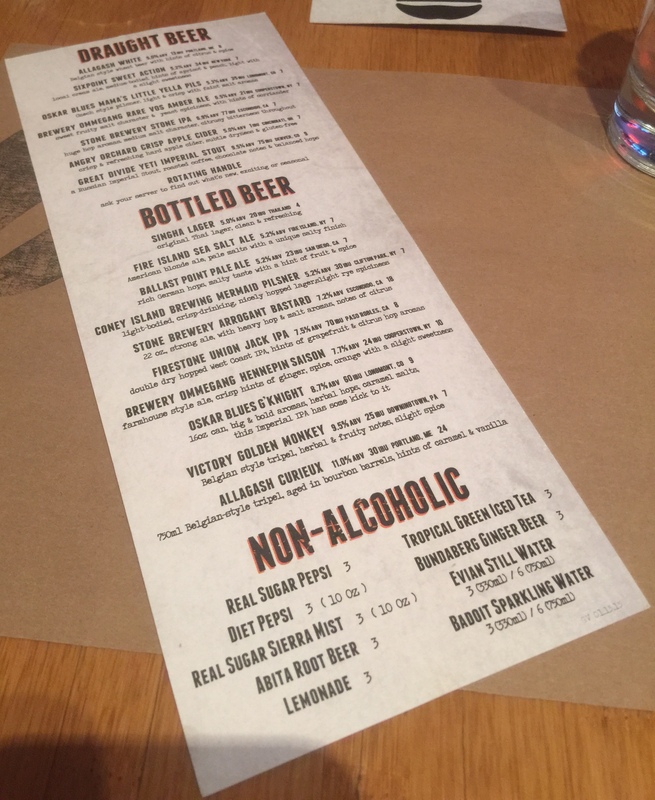 Justin and I quickly finished our beers, excited to order another round of drinks: I wanted another My Sour, and he wanted to try an ounce of the 23 year Elijah Craig – his favorite bourbon. 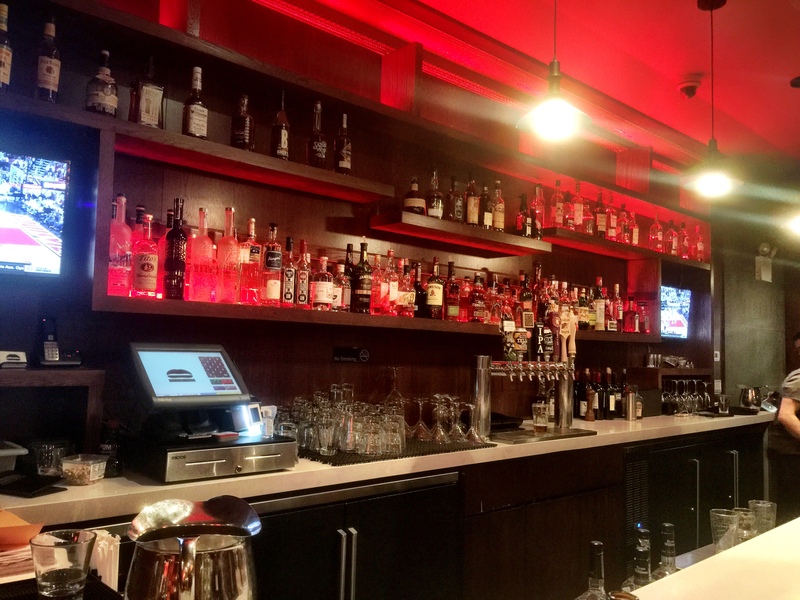 So we pushed our empty bottles to the inner edge of the bar, and waited. That’s where the clock started. We waited, and waited. Justin went to the bathroom. Then I went to the bathroom. Then I stood and leaned over the bar. The bartender who was servicing our end of the bar deliberately avoided eye contact with me multiple times. I waved. I smiled. I waved and smiled at the same time. I waved with both hands, while smiling. There were two separate take out customers who came in during the span of my waiting/flailing who were also visibly annoyed by the lack of attention paid to them. I waited some more – I am a very patient person. I can wait for a drink, and be extremely understanding when a bar is packed or a bartender is busy. But he was futzing around like a bumbling idiot. He cleaned various bar surfaces and beer taps. He was rearranging glassware. This guy accomplished a lot of useless crap during the 35 minutes while I waited, except making eye contact with me one single time. As the fury built inside of me, I nervously looked to Justin and said, “I am going to explode.” I came close to walking over to the manager – who had been excellent during our meal – to complain. But instead, what happened was beyond my control. I did explode, and I screamed – loudly – “EXCUSE ME” at the bartender. Other guests looked at me as if I was a savage barbarian (which by now I probably was), but I didn’t care. I was so irritated and it was pouring out of me. The bartender continued to avoid eye contact, but began to make his way over, visibly annoyed by my outburst. So I explained, “I’ve been waiting over a half hour here and you haven’t even looked at me.” No apology. No explanation. Just a blank stare, not even into my eyes. He stared somewhere towards the floor, maybe looking for his next surface to clean in order to avoid customers. I ordered our drinks, which seemed to take quite an extra while to make. At this point, I started to feel guilty for asking the bartender to tend his bar. Wait no I didn’t. I just continued to feel furious. He proceeded to take an eternity in bringing our drinks, bringing our check, and running our credit card. And then, my favorite. Our bar bill for he two drinks was $35, and I left a $4 tip. Obviously this is a little low, a little insulting. I am a strict 20% tipper. But I felt that the $4 was generous for the job being done. This guy had the audacity to speak poorly about myself and my boyfriend to his coworker (the host who had transformed into a bartender) right in front of us. He showed him the amount written in for his tip, rolled his eyes, and made nasty comments. 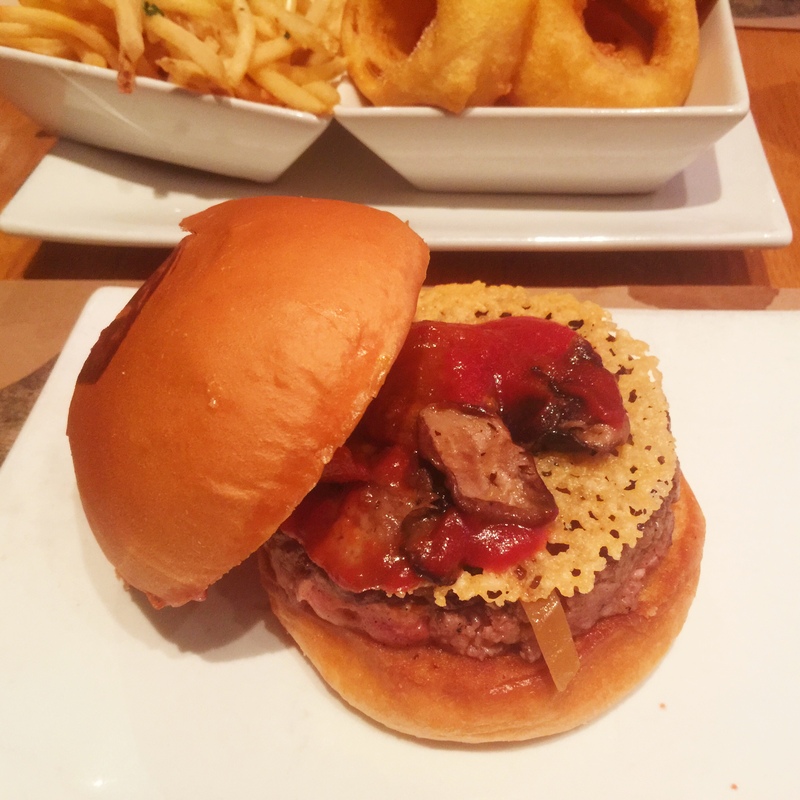 So Umami Burger: you had five stars. You truly deserved five stars. However you lost not one, but two for this horrific encounter. One star lost for the horrible service, and one star lost for the horrible rudeness following the horrible service. Umami Burger, I feel sad. You deserve better. It’s like watching your BFF in an abusive relationship. You need to love yourself more. You need to respect yourselves enough to hire a staff that respects you and the high quality product you are selling. I know, sometimes, some bad eggs fall through the cracks. We all make mistakes. And for that reason, I will give you another chance. I hope you realize what you deserve and find a way to move on and heal from that bad, mean, abusive bartender. But as of today, your rating stands: three stars.